RIO GRANDE CITY — When election results were announced Tuesday night, who the next justices of the peace for precincts 1 and 4 would be was still in question as none of the candidates for those races received more than 50 percent of the votes. Since no candidate cleared the threshold of 50 percent plus one vote, the two candidates who received the most votes from each race will face off in a runoff election in May. In the Pct. 1 race, Jesse Barrera, who received 1,140 votes, is the current justice of the peace. He will be running against J.M. “Chuy” Alvarez, who received 1,183 votes. The two men were the top vote getters out of three candidates which included former County Commissioner Abel Cantu who received 513 votes. The incumbent for Pct. 4, Martin Martinez Jr., who received 1,358 votes, will be running against Roel “Role” Valadez who received 1,744 votes. Four candidates had vied to be the next justice of the peace for this precinct. The two who didn’t make the cut were Francisco “Frank” Gutierrez with 314 votes and Juan Diego Gonzalez with 93 votes. 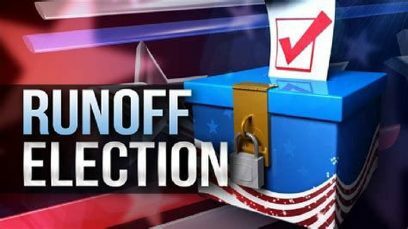 Early voting for the runoffs will be from May 14 through May 18. Election Day will be May 22.